FEELING THE STICKER SHOCK OF THIS YEAR'S PROPERTY APPRAISAL NOTICE? You may be considering challenging the new appraisal amount. The good news is, it’s easier than you might initially think. You have options: You could hire a firm to handle the challenge for you; typically they only get paid if they succeed in cutting your taxable value. Or you could handle the challenge yourself. Below is a time line for the process and some details about how it all works. JANUARY 1st: DATE WHEN YOUR HOME VALUE IS APPRAISED. Your home’s appraised value for the year is based on its condition – and what the property could sell for – on this date. Keep in mind, the appraisal district arrives at a figure by calculating the market value of your property. And your home’s condition on Jan. 1 is key as you look at factors that may affect the value. Any damage or improvements after this date – say, a tree that falls on your roof in March, or the new bathroom you added in May – won’t affect the taxable value of your home this year. LATE APRIL-EARLY MAY: APPRAISED HOME VALUE ARRIVES IN YOUR MAILBOX. A piece of mail arrives from the appraisal district, telling you the value of your home for tax purposes. Look over the numbers carefully. If your property is not described correctly or if the value looks out of whack, you can protest it. JUNE: MEETING WITH THE APPRAISAL STAFFER AND THE ARB. Once you’ve filed your “Notice of Protest,” your Appraisal District will send you a letter with two dates: an informal meeting with an appraisal staffer and your formal hearing date with the ARB, a group of independent residents appointed to hear these challenges. During the informal meeting, the staffer will review the numbers with you. Bring all of your documentation: Information on comparable homes (records are available on the appraisal district’s website), perhaps an independent appraisal if you recently refinanced your house, or photos, repair estimates and other records showing damage that may devalue your home. Once you and a staffer have hashed it out, the district may offer to reduce your value by a certain amount. If you’re satisfied, you can accept it. If not, you can keep your date with the ARB, or technically, with a three-member panel of ARB members. Before that hearing, you have a right to see all of the information the district appraisers plan to present, so be sure to contact the appraisal district to request those documents. If you take your case to the ARB, come prepared and expect a rapid-fire proceeding. The entire hearing will likely take 15 to 30 minutes. In that time you will be placed under oath and given a chance to present any evidence or witnesses supporting your case. You must conclude by stating the figure you believe your property is worth. Someone from the appraisal district will likely question you and provide additional evidence. Then you can question the appraiser or any witnesses presented by the appraisal district. Members of the ARB can ask clarifying questions, too. Finally, each side gets to make a closing statement, so once again you’ll want to reiterate what you believe your property is worth and why. The three-member panel will discuss the case and reach a recommended value. WOULD YOU LIKE AN INDEPENDENT COMPANY TO CONTEST YOUR VALUE FOR YOU? These independent companies typically charge between 30%-50% of the amount they save. 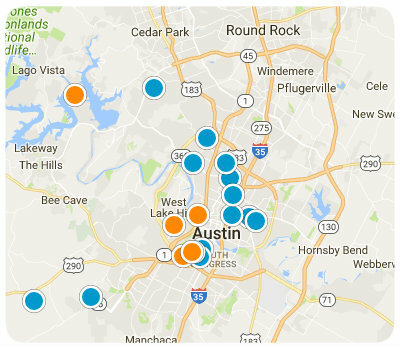 Here are some companies that often advertise in the Austin area.